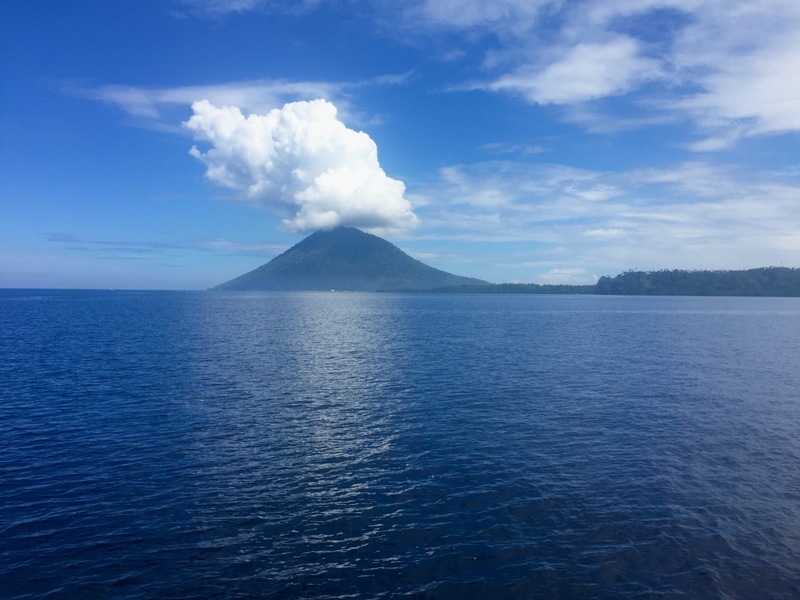 If you’ve read the last two posts from Sulawesi you’ll know I’m a fan of the island. We were like monkeys on the island, flying from city to city, bus-ing from site to site and stealing a Bintang opportunity whenever possible. Despite going bananas on tour a little bit of research has shown me there are plenty more things to do in Sulawesi beyond what we did. 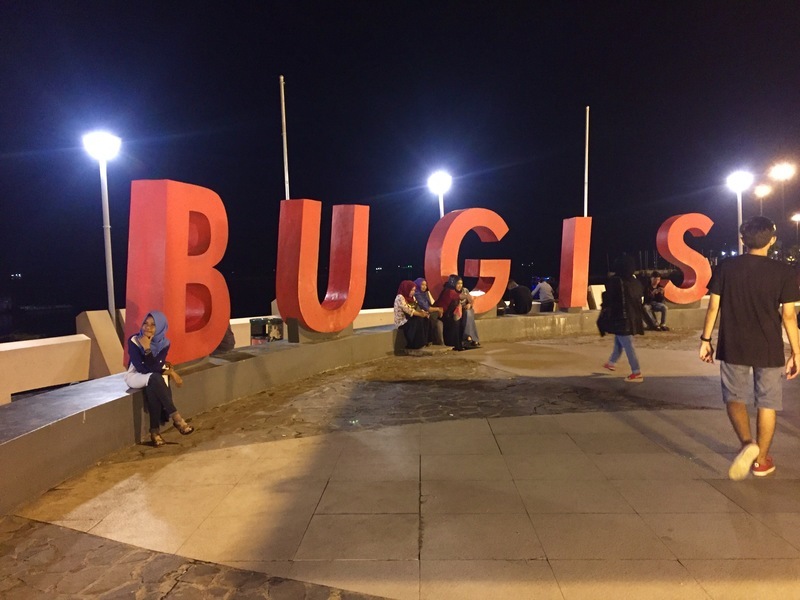 Here’s a recap of the attractions we saw and a Sulawesi bucket list for my next visit. Our crested black macaque experience is the number one animal encounter I’ve had in the wild….although, the Komodo experience may win out depending on how I’m feeling on that particular day. 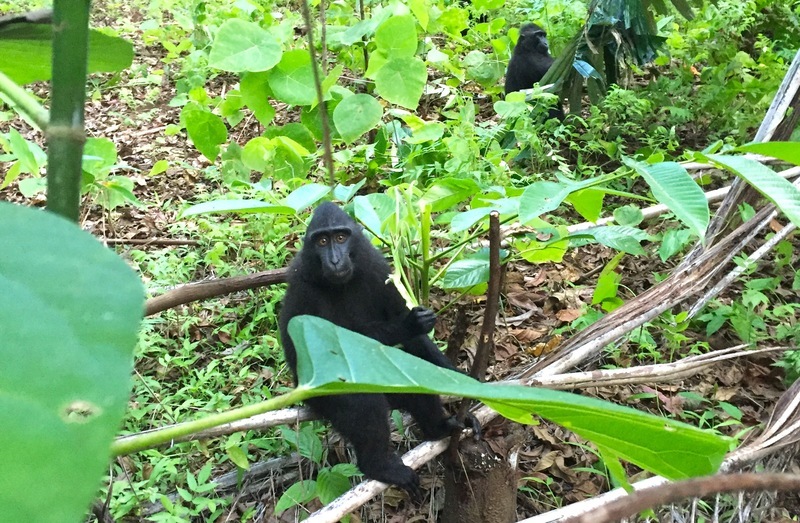 Black macaques can only be found (wild) in Indonesia and are friendly enough to hang out with you. Bonus! We got to see a tarsier and took a quick visit to black sand beach. 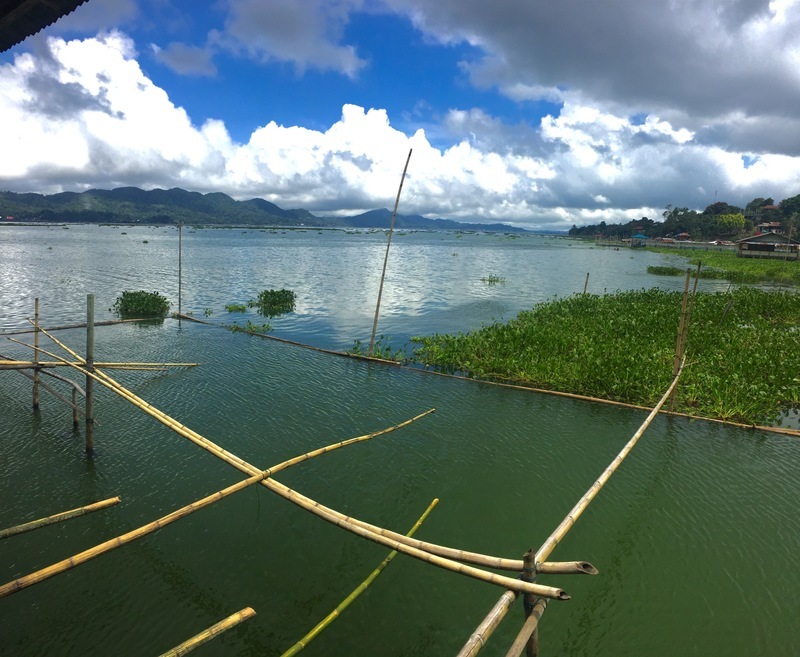 Tondano Lake is the 3rd largest lake in Indonesia. Sitting 600 metres above sea level a visit to the lake for lunch at one of the lakeside restaurants is a great way to take a break from the usual Indonesia heat. Cemeteries are always curious places when they become a tourist site. We visited the waruga near Airmadidi where there are many tombstones left. 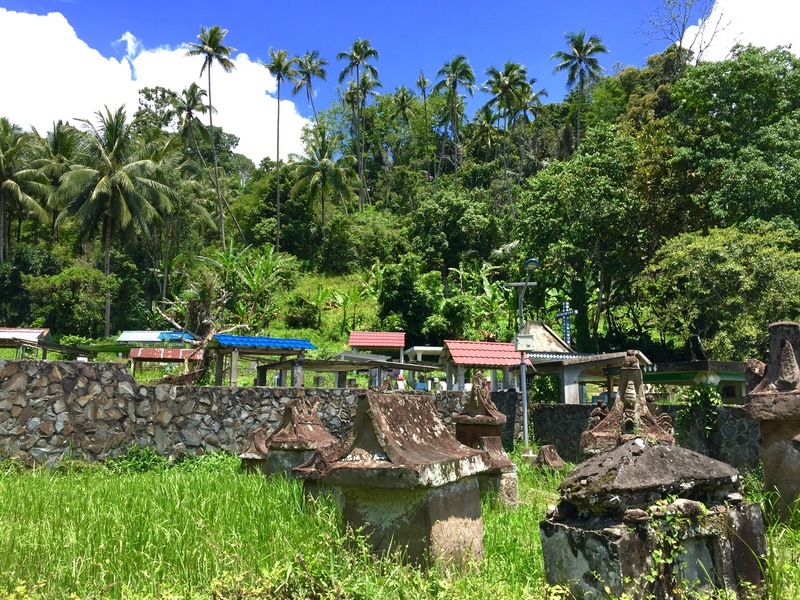 The local Minahasa tribe placed the dead in these stones that look like small houses above ground in the kneeling position facing north. An unusual, actually bizarre attraction but it gives you an understanding of the culture and what the country has been through as the Dutch prohibiting the practice in the mid-late 1800’s. Enroute to Bunaken. Thanks Juli for the awesome shot. While I’m not a big fan of being in the water, the rest of the crew who did (such as Anita) explore the underwater wonder that is Bunaken National Park had nothing but great things to say. With over 390 coral species and an large array of colourful fish and mammals large and small you’ll have infinite fun here. 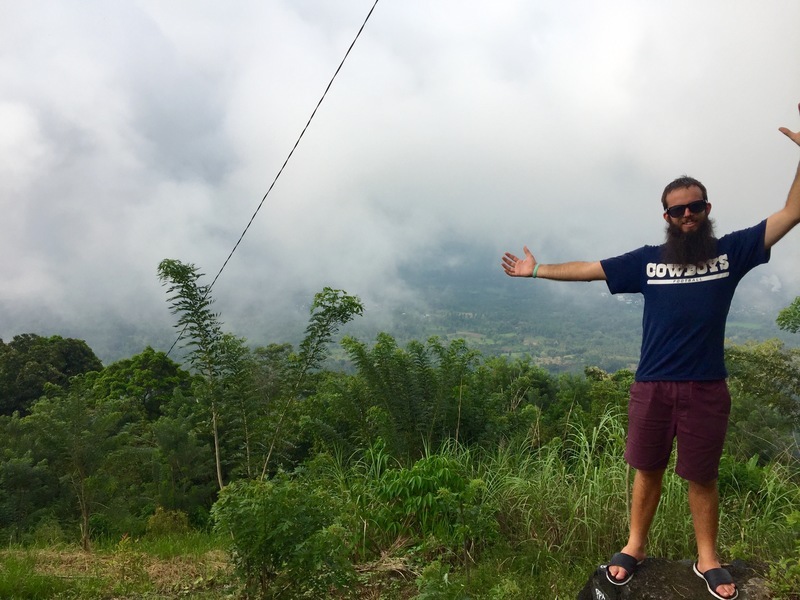 Check out the video below from Perlin who was lucky enough to be on the trip also! From the boat it was epic looking at the coral shelf. You can see the 25-40 metre vertical drop underwater…very impressive. It’s 2435 stairs to the top of the Hill Of Love. I found the 1000 stairs in Vic, Australia was easy. The 4287 stairs to summit Langkawi was tough. So the 2435 stairs to the peak of the Hill Of Love would be somewhere in between. As we twisted and turned from Tondano Lake to the start of the hill I was perplexed to discover there was some thermal action going on. 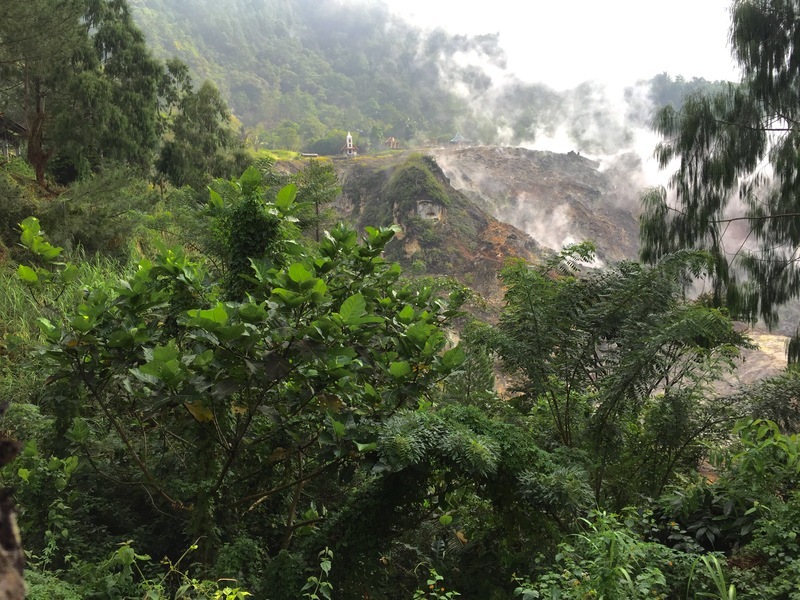 Turns out it’s an active sulfuric hill! It took me straight back to the homeland, Rotorua specifically. The hike is not too bad, but you’ll definitely be puffing at the top as the ~50 metre cross towers over you. We didn’t get too many epic views cause of the sulfur, but if you like hiking at all, definitely head here. Epic views at the top! To cap it all off, the hill has five houses of worship, with a Catholic church, a Christian church, a temple, a mosque and Hindu temple everyone can be awesome together. 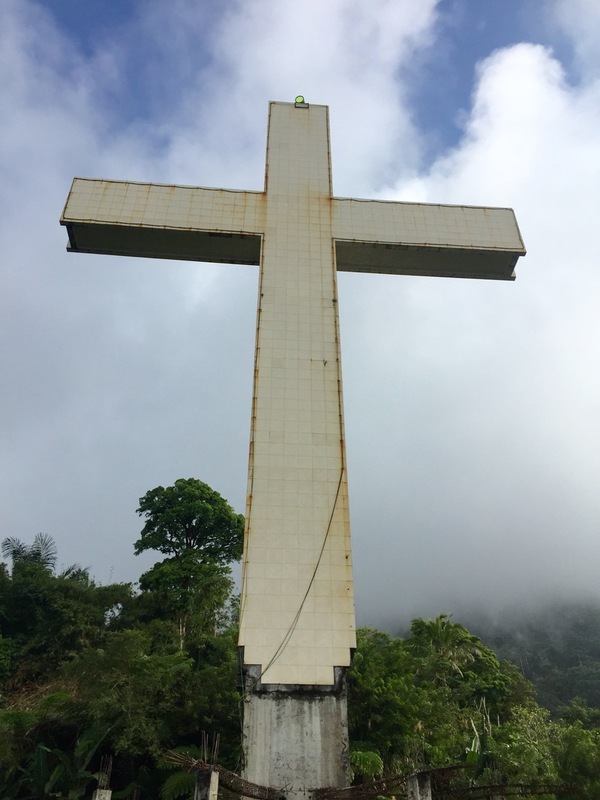 Manado has an unbelievable amount of religious crosses scattered throughout the region (in a country (even island) where Islam makes up roughly 87% of the population. They come in all shapes, colours and sizes. We really should have made up some games to help pass time on the passes. If you go, tag me on any of the photos on Instagram (@tikitouringkiwi). Either way, it adds an interesting dynamic to the culture. In hot places it isn’t unusual to see the city come alive in the evening as the temperature starts to drop. 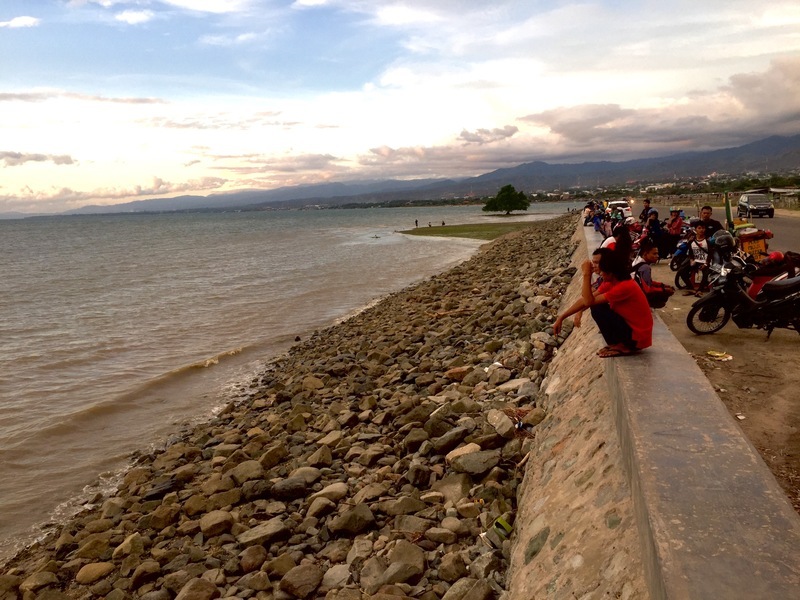 In Palu people were heading to the waterfront to watch the Sulawesi sunset and by the time we had left, street food stalls had popped up which would have been fun to sample but sure enough we had to keep moving. The sunset was epic though, a great place to start your evening. An hours drive from downtown Palu is Prince John Dive Resort. They have a private beach with some decent diving spots not far from the shoreline. With a bar, chairs with umbrellas, boats, beautiful water, slack lines and clean beaches don’t be surprised if you manage to spend a whole day at the property. Note, the beach is for resort guests only but if you ask nicely I’m sure you’ll be able to head along. We had less than 24 hours in Palu but it was awesome. We never got to see any daylight in our brief stint in Makkassar. Myself, Pete, Holly and Kayla decided there was no point in even sleeping with a 3.30am flight so decided to stay up through the night. On our adventures we did discover that the waterfront is the cool place to pass the evening away. There are plenty of big letters spelling out various places you are and of course a couple of buskers trying to earn a quick buck. We saw Patrick and Pikachu! If you’re a foreigner in the area be prepared for A LOT of photo requests. It’s all harmless fun but as always be aware of your space in case hands do go wandering. Across the road from the waterfront is what once was dubbed as the worlds longest restaurant. It’s not really one restaurant, rather lots and lots of street vendors lined up next to one another. Grab some grilled bananas! Having spent a couple of years around Southeast Asia I’ve had plenty of the local ‘famous beers’. You know, the ones you see people sporting a singlet adorned with the logo of the beer they probably can’t remember drinking much after consuming a few too many. Those ones. Bintang is the go to beer in Indonesia. It’s owned by Heineken and is a solid 4.7% lager. We were really in need of a beer at one point on the trip which saw an epic Snapchat story from me as we were on a mission to find the Bintang Goddess. She eventually was located. Bintang is actually a really, really nice beer! 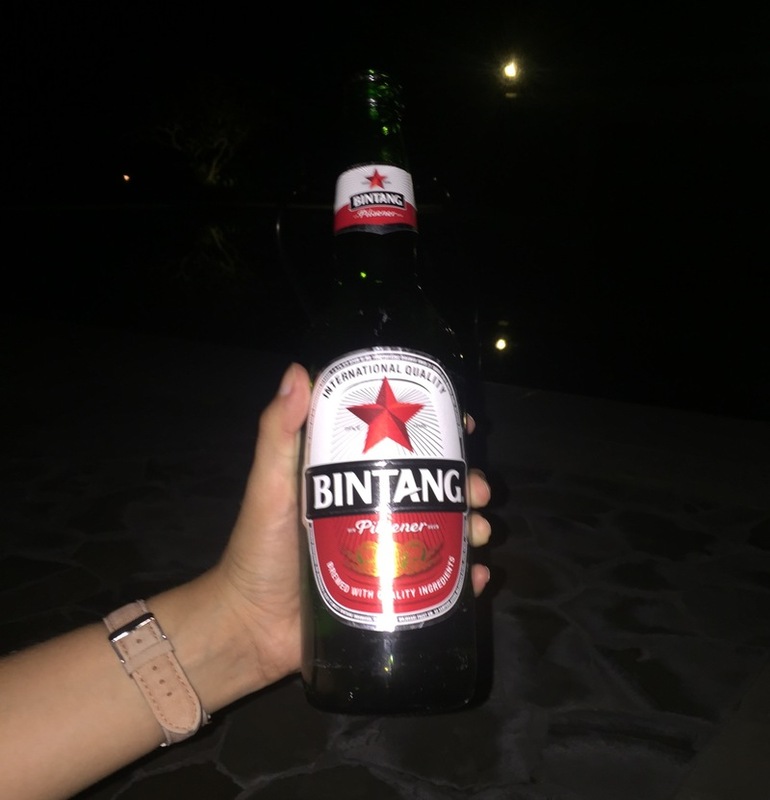 Pro Tip: There’s a 0% version of Bintang, don’t be that rookie. We spent four nights in Sulawesi. Barely enough to cover Manado on its own, let alone Palu and Makkassar or any of other regions of the island. Having dug into the area a bit I’ve found 5 more things to do in Sulawesi I’ve pencilled in for the next trip. Explore Lore Lindu National Park, using Palu as a starting point. It isn’t easy to get here but once you are hiking through the highlands not far from the equator sounds gruelling and awesome. The Bada Valley area also has granite megaliths which go back to 1300AD which would be crazy cool to see. Explore Una Una Volcano. 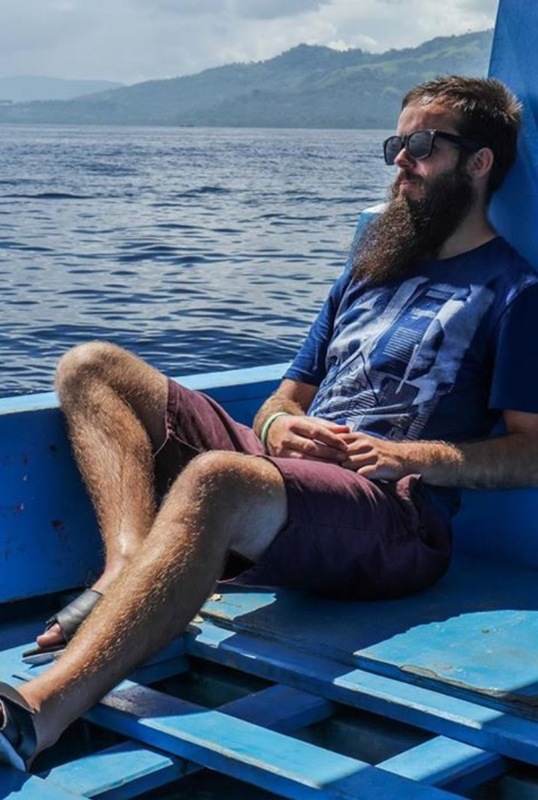 It’s a small island with a 500 metre volcano (pretty much all it is on the island) so it makes a perfect day trip as there’s no accommodation on the island. The last eruption was in 1983 so it should be mostly harmless! Tentena has a white beach and a crystal clear lake (Pendolo), sounds random but awesome! It’s also a gateway to another awesome waterfall, Saluopa. It’s the picture below! Tomohon is home of Mt. Mahawu Volcano. You can trek this volcano in a day and at 1324 metres tall would be a epic day trip! And no doubt would end up being one of my favourite things to do in Sulawesi as I love hiking. Sea-gypsies, you’ve probably seen them on a TV doco. There’s a population of them in Sulawesi! While it would be great to witness them, if it means there will be ‘fake sea-gypsies’ turning up like the infamous Inle Lake fisherman, I wouldn’t want to visit them. I’d rather just let them be. Sulawesi. If you take a closer look at a map you will notice the k-shaped island. it’s actually the 11th biggest island in the world. As I look down the list of islands, the top 10 I recognise, but Sulawesi was a place I couldn’t have told you what country it belonged to until the recent trip. 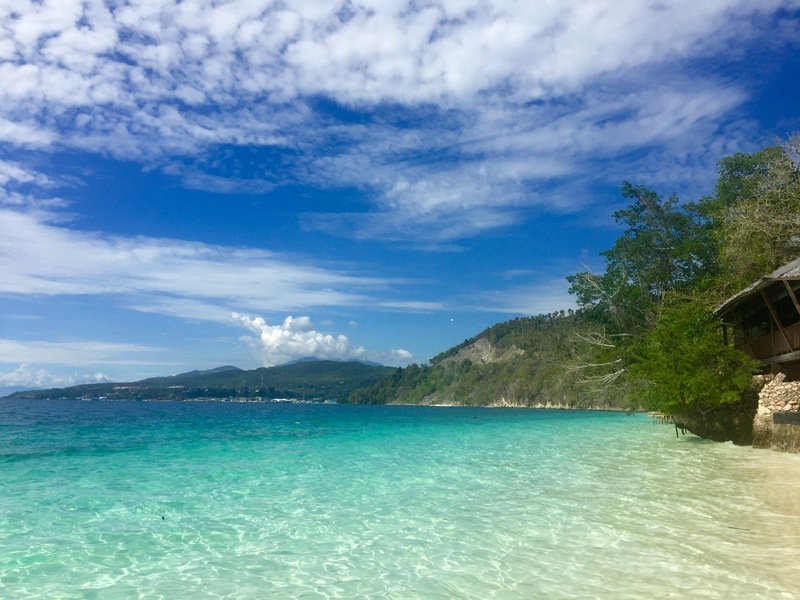 If you want to get off the beaten path beyond Bali, Lombok and the Gili’s you need to check out Sulawesi. With six sites currently on the tentative list to be nominated for the UNESCO World Heritage List, the region will start seeing a massive influx of tourism. Get there soon and do all the things to do in Sulawesi here and tell me your thoughts!